Last week I introduced my desire to get started on my new year’s sewing resolutions, or “resewlutions” if you will, right away before I’d lost that new year, clean slate feeling (and before the impending arrival of the little one, which I’m sure is going to slow things down around here!). I was so impressed how many of you commented on that post saying you had also already made progress on your own sewing resolutions. Bravo! My post last week crossed number 3 off the list: move to my own dot com. Thanks to those of you who commented to say everything was working just the same in your blog readers. I ended up contacting Bloglovin’ about it anyway just to be safe, and of course that’s when things got messy. Sorry if a whole slew of my old posts popped back into your reader over there! Anyway, today I want to talk about my efforts towards number 4: get better connected with the Seattle sewing community. I got a lot out of taking advantage of the wonderful Bay Area Sewing community (see all my Bay Area sewists meet up posts here), and I want to do the same here in Seattle. This past summer I got started on the right foot with two fitting meet ups (mentioned here and here), but then a doctor’s appointment prevented me from making it to a museum meet up, and things slowed way down from there. Honestly, my good intentions to try to keep the momentum from the summer going in somewhat monthly meet ups were over taken by my ever expanding belly. I did manage to make it out to District Fabric with Maris of Sew Maris and to meet up with the Seattle Sewing Guild Meet Up group one weekend in the fall. To get things started on the right foot this year, I’ve now created a whole page dedicated to sewing in Seattle. I’ve included the blogs, sewing and knitting groups, sewing conferences, sewing classes, and fabric and knitting shops that I’ve heard of in the area. I’m sure it’s no where near exhaustive since I’m really only just getting to know my way around here, but I actually can’t believe how long the list is already: twenty-three blogs, five crafty meet-up groups, nine fabric stores, and more… If you’re familiar with the area and see things I’ve missed, I’d love your input as well. Send me an email or leave a comment on that page. Or, if you’re also proud to be sewing in Seattle, what about showing it off with a button on your blog? I made one for all of us, though I’m not sure whether the slogan I’ve chosen, “Home of the world’s largest needle”, is in fact true. But, I saw something similar in an art shop near my house, and I couldn’t help but think it was pretty clever and adopt it for our little community! I personally enjoy knowing where bloggers are from, and I also like the idea of the world knowing that the Seattle sewing blogging community is a force to be reckoned with! Another way that I’m getting involved is by going to the Sewing and Stitchery Expo this year in Puyallup. Since the little one will be so young, I only signed up to go one day, but I’m hoping to make the most of it. I’ve registered for a full day of classes on Sunday since my husband can also join me that day if I need help with the baby. It’s the last day, so that might mean the vendors are all tired and ready to go home, but I’m still excited to see what a sewing conference is all about and to learn what I can from the classes. If you also plan to be there on Sunday, let me know! I’d also love to head down to Puyallup Saturday night for the American Sewing Guild After-Expo Banquet, but I don’t want to over extend myself. I’ve heard from some of you that you might also be going, but I imagine I’ll have to wait a little bit to figure out whether two big events are possible that weekend. I’ll let you know if my maybe becomes a definite yes. Now, who else has made even the tiniest bit more progress on their resewlutions?! I’m especially curious to hear more from those of you who’ve also made exploring your personal style a goal for the year (pretty much my number 2 listed above, which I’m thinking a lot about even if I’m not currently making any actual progress on it). It seems like a common theme this year, and I’ve been excited to see some of the big sewing bloggers announce things like The Wardrobe Architect and The Twelve Pattern Challenge. I think 2014 is going to be a fun year to watch the sewing blogging community grow into its own! I was surprised at how many bloggers I’ve been able to find. I wonder if there are more than you’d expect around Philly?! So honored to be included on your list! Two other Seattle area blogs I enjoy are Sanae at http://sanaeishida.com/ and Ara Jane at http://whatarajaneloves.blogspot.com/. I will have to figure out how to get your badge up on my blog. Thanks! I added those two blogs, and I’m looking forward to following them! I wish I could figure out how to get the html text to copy neatly so that it was really easy to get a Seattle button up if you wanted. I’m still working on it! Personally, I love (and am slightly envious) that there are so many sewists in Seattle! I’m only a couple of hours away in Vancouver, Canada but for some reason, there doesn’t seem to be the same sort of on-line presence for the sewing community around these parts. Or at least not that I’ve come across – maybe I’m just not looking hard enough! 🙂 But, I am going to the Sewing and Stitchery Expo as well from Friday to Sunday and looking forward to it! Great! I hope to see you there on Sunday! Also, isn’t Tasia of Sewaholic in Vancouver? Oh! I think it would be so fun to work with her. I love her patterns and would enjoy seeing how they come together from start to finish. I’m glad you’re enjoying your internship!! And, I’m excited to meet you at the Expo! You are getting on with your resolutions! I have booked onto an intermediate dressmaking course to learn about all the mistakes I probably make as a self taught sewist. I am working on my personal style and I have been taking a pic each day and thinking hard about how I feel in different clothes. I’ve also got a pinterest board where I am pinning stuff I like to get a better idea of how I want to look. I’m going to do the wardrobe architect as well. Everything helps! Oh! I love hearing about the personal style resewlutions. I like thinking that people feel better and are being genuine to themselves. This is a great idea!! I wish there was a sewing community in Brisbane! Maybe there could be? Start looking around for other bloggers in the area! Last night I traced a pair of RTW pants, to create my first pair of jeans. This is my first (and main) sewing goal for this year. The second is getting the fit right with different knit fabrics, but I still have to think things through. Pasadena, California?! I used to live there! Enjoy your stay! Awesome resewlution! I’m a member of the BurdaStyle sewing group here in Perth and also have met some wonderful friends and gained some great sewing experience. We are rather isolated here, but that just means were a close knit group! It’s fab to sew with others and nice to meet people face to face to. Being a close knit group is great. I’m hoping that by identifying all that Seattle has to offer for sewers, I’ll find my close knit group here! I’m right behind you on learning about the Seattle sewing community. I have lived and sewn here for many years, but our fitting session last summer was the first opportunity I have had to meet others. I had a wonderful time. I’ll be going to the Expo, too, but I’ll be there Friday and Saturday. If I had a blog I would love to use the Seattle button. What a cute “button” design! If I lived in Seattle, I would definitely add that to my blog sidebar (but alas, I am an East-Coaster). That’s A great Button Amy! And I Saw That You Have Me On Your List Too, Thanks!! I Haven’t BloggeD Since Summer/falL (Have Been Sewing though, Thankfully) But Now I Might Start Again.Even If It Is Just To Add Your Cute Space Needle Button!! im Happy That You Are In seattle And Into Organizing 🙂 I Ended Up Not Going To The Fremont Meetup That Weekend (Kiddo Emergency) But FinallY Met The OrganiZer Of That Meetup In The Other Meetup In Shoreline. Hi Amy – I’m in Seattle, too. I’ve been a silent sewing-blog lurker for a while, and I’ve just decided to get back into blogging. I had no idea there were so many sewing bloggers in Seattle. That’s amazing! I think it’s great that you’re connecting all of the local bloggers. I’ll add your badge to my blog! Thanks! Hello Seattle sewists! 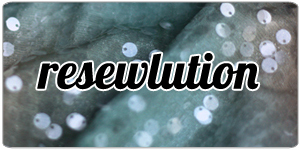 My resewlution for 2014 is to get better acquainted with the online sewing community and start my own blog. I am a card-carrying member of the Seattle ASG and will be in Puyallup this weekend. I am staying the evening at the Best Western, where the ASG banquette is being held, so I plan on spending Saturday afternoon and most of Sunday at the expo. I would LOVE to meet up with other bloggers and area sewing enthusiasts! The ASG is pretty amazing – I won’t miss a sewing retreat and can’t wait to see my sewing buddies at the banquette. Amy I would very much like to meet you! Perhaps we could plan to meet at the ASG booth at a certain time on Sunday? Sounds great. Is there a time you’d suggest? If not, I’ll look at my schedule and hopefully get something started by writing about it on my blog! Hi Amy! Anytime works for me. I am planning on arriving around 11 on Saturday. We can always meet at the ASG booth. In the mean time, Be sure to visit the Japanese sewing notions wholesaler and the wool guys. And keep your wits about you as Vogue fabrics wheels in cart after cart of designer fabrics. Some years are better than others, but I have found some smashing Anne Klein knits there. Also Billies fabrics gives about a 20% coupon off your next visit to the store in Centralia. I’m hoping to test drive the latest Pfaff model sewing machine and stock up on knits from the Tilton sisters and check out any latest pattern vendors. See you soon!